Paco Díaz (Palma de Mallorca, Spain) on 9 October 2008 in Cityscape & Urban. What an incredible sight. It is just an amazing plaza. Nice night shot. ostras, perdón!! Eso que me gusta como ha quedado, da mucha amplitud! Paco, que gran panóramica!!!. Perfecta de luz y definición. Me encanta. 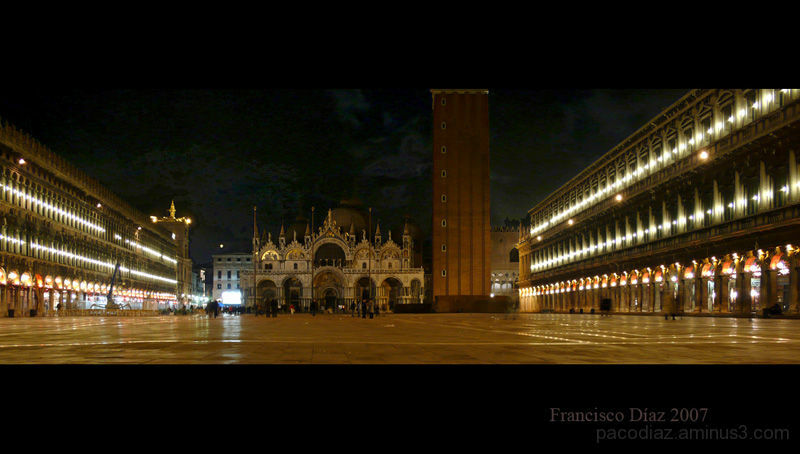 A very strong feel to this night image, Paco. spectacular! what wonderful light!! must be an amazing place! This is such a great panorama, the big story, las luzes estan mui fuere.